Both Madison Peninsula and Madison See-through models feature an attractive clean-face design that integrates the barrier screens into the fireplace – flush with the fireplace face – allowing you to install tile, brick, or other non-combustible materials right up to the fireplace opening. 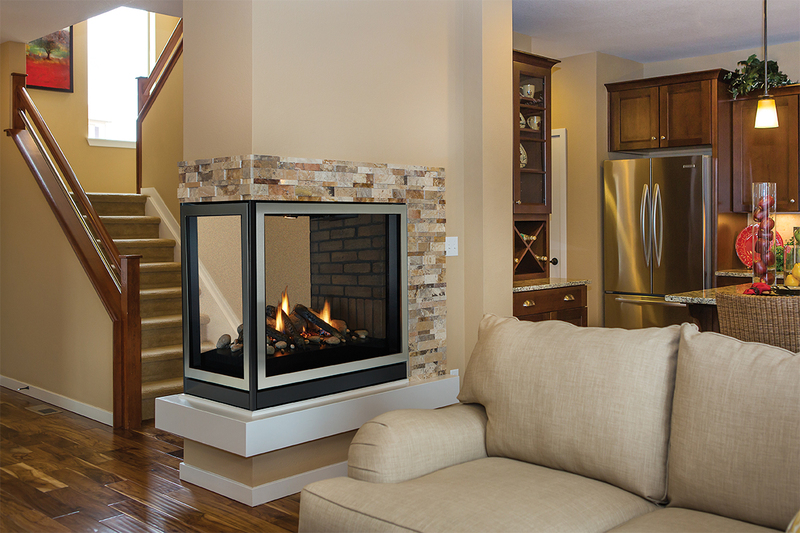 Choose between the hand-painted Campfire Logs or Mixed Logs and Stones to customize your fireplace. The optional decorative doors and fronts let you finish your new fireplace in the look that suits your décor.